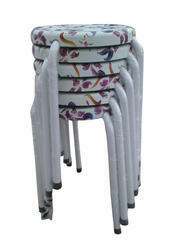 Pioneers in the industry, we offer stacking plastic stool, stacking plastic stool, stacking chair- brown, reverse folding hand hold polyester water proof light weight rain umbrella-multi colour flowers2, stackable stools stacking chairs - purple flowers (10 pcs. 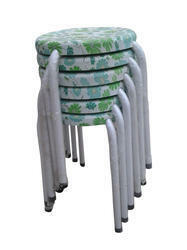 ), stackable stools - green flowers (10 pcs.) 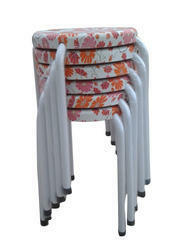 and stackable stools - orange flowers (10 pcs.) from India. Size Top Seat - 28 Cm. Dia., Base - 44 Cm Dia., Height- 44 Cm. 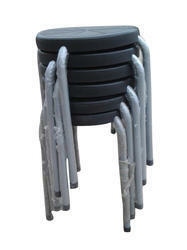 Easily Stacking and light weight portable stool. 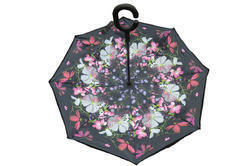 Stylish, elegant and unique durable design with brilliant colour finish. 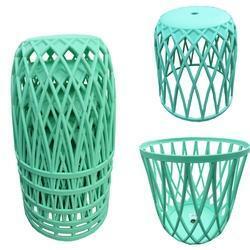 Made of 100% virgin polypropylene material. Can take load up to 110 Kg. Dimensions - Top Seat - 28 Cm. Dia., Base - 44 Cm Dia., Height- 44 Cm. Weight - 1.650 Kg.x 5 Pc. = 8.250 Kg. EASY TO OPERATE : With a simple click of the embedded button, you can open and close the umbrella in confined spaces when entering or exiting a building or car. Size 30 Cm. Seat Dia.,45 Cm Ht. 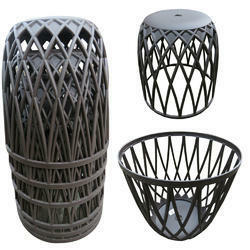 Material: Seat : Polypropylene, Frame : Powder Coated Mild Steel. 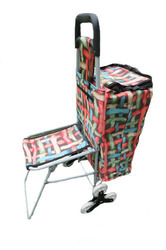 WEIGHT BEARING CAPACITY - 120 Kg. Size : 30 Cm. Seat Dia., 45 Cm Ht. Wt.- 1 Kg. Materials Used : # Frame made of powder coated round M.S. tubes with 4 legs # Round seat is made of very high quality durable polypropylene Key Features : # Light weight # Round seat is also available in plain colors # Can be stacked very easily and occupies very small space # Attractive finish # Strong and capable to carry weight up to 120 Kg. 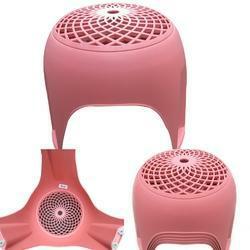 Dimensions : Round seat- 30 Cm. Diameter Overall Ht. - 45 Cm. Size 30 Cm. Seat Dia., 45 Cm Ht. # Strong and capable to carry weight up to 120 Kg. 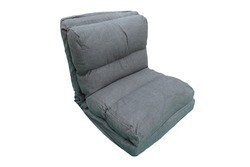 Dimensions : Round seat- 30 Cm. Diameter Overall Ht. - 45 Cm. Size 210 x 90 x 9 Cm Thick. Weight - 13.500 Kg. Dimensions - OPEN - 210 x 65 x 9 Cm Thick. Weight - 13.500 Kg. 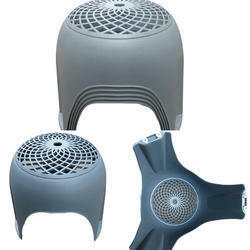 Stackable Stool -P.P Plain - Black - 10 Nos.